The most charming and understated Studio Choo. 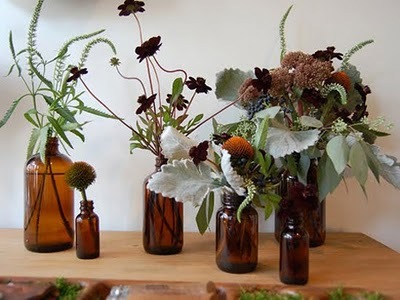 Here's a vignette they did using brown tincture bottles of varying sizes. Doesn't it just scream fall without screaming? 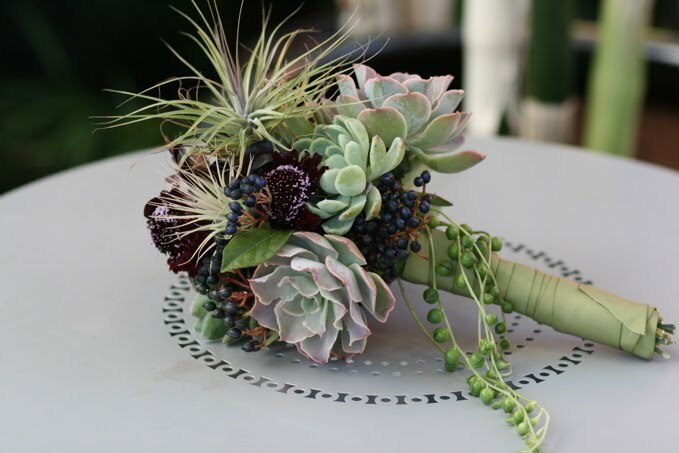 And here's an unusual bridal bouquet by the design studio called flora grubb. These are the folks taking tillandsias to new heights. And they're into vertical gardening too!